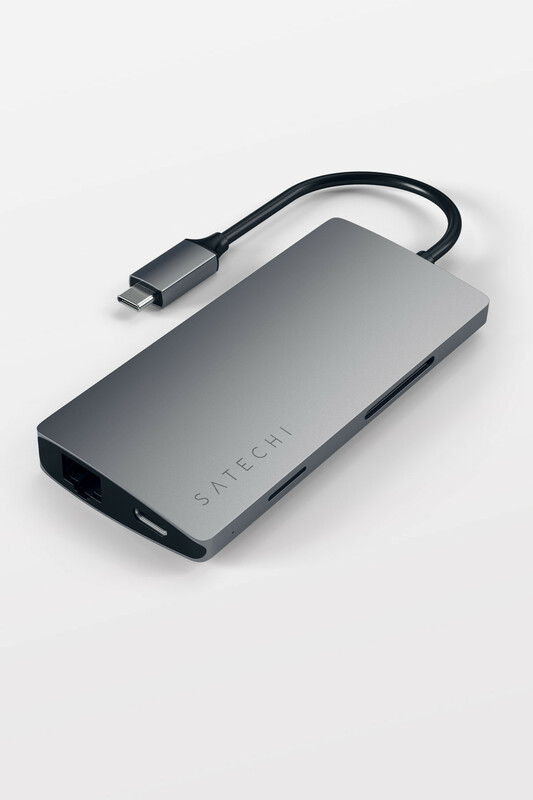 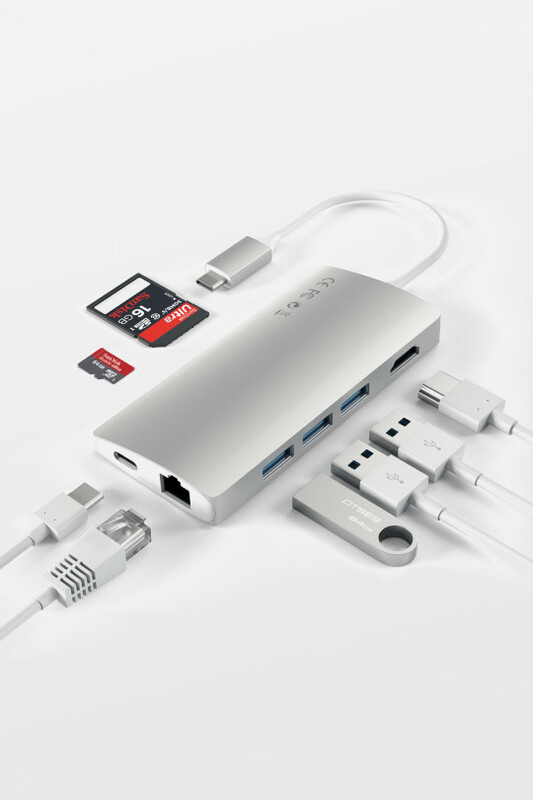 The Satechi Type-C Multi-Port Adapter V2 adds a plethora of connections to your laptop or desktop, just by using one Type-C port. 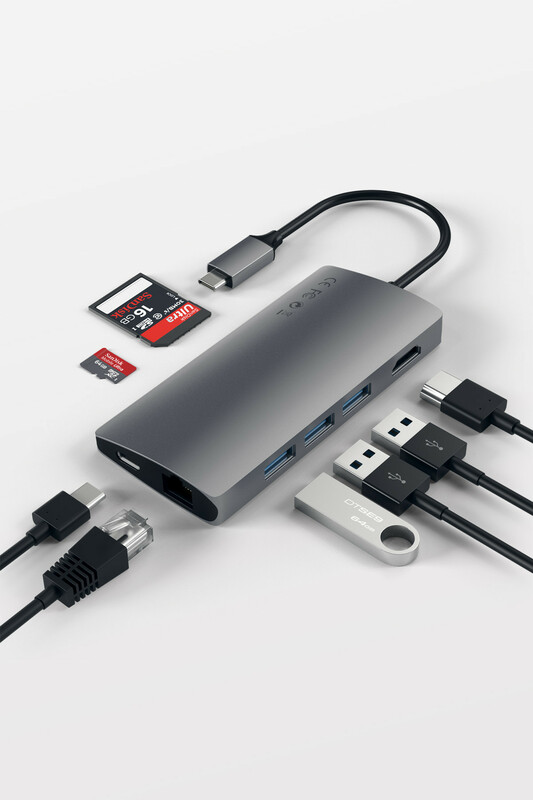 Add 4K HDMI, pass-through charging, Gigabit Ethernet, three USB Type-A ports, and SD and Micro SD Card slots to your computer. 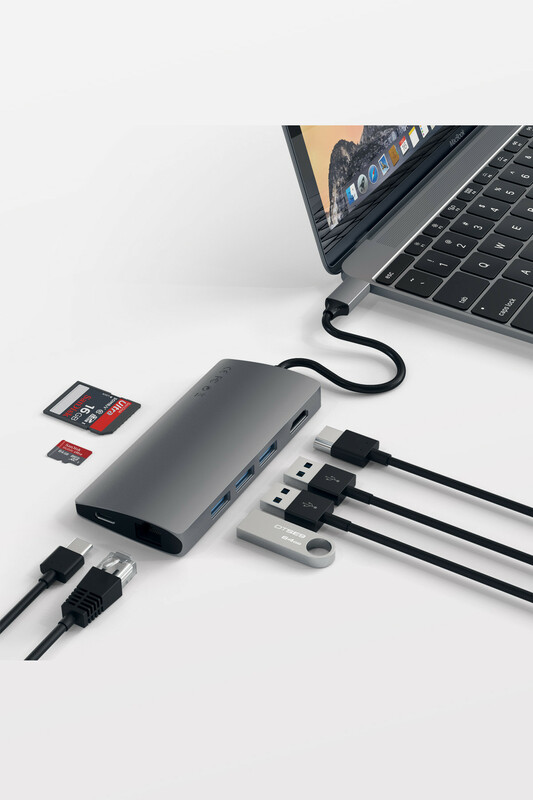 With its upgraded the Micro SD card slot and refined aluminium design, it is now easier than ever before to add expansion ports to your MacBook/MacBook Pro. 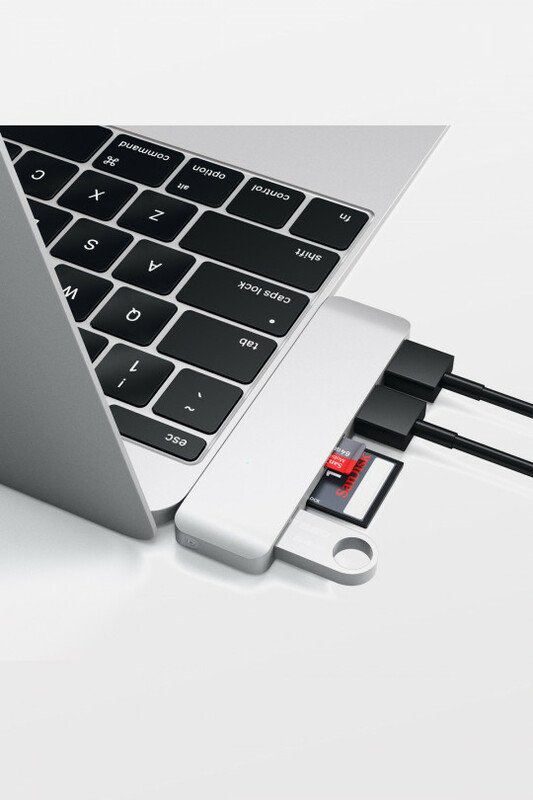 The included pass-through charging, enables you to easily charge a Type-C device while using the other included outlets (operating temperature is 30-50°C). 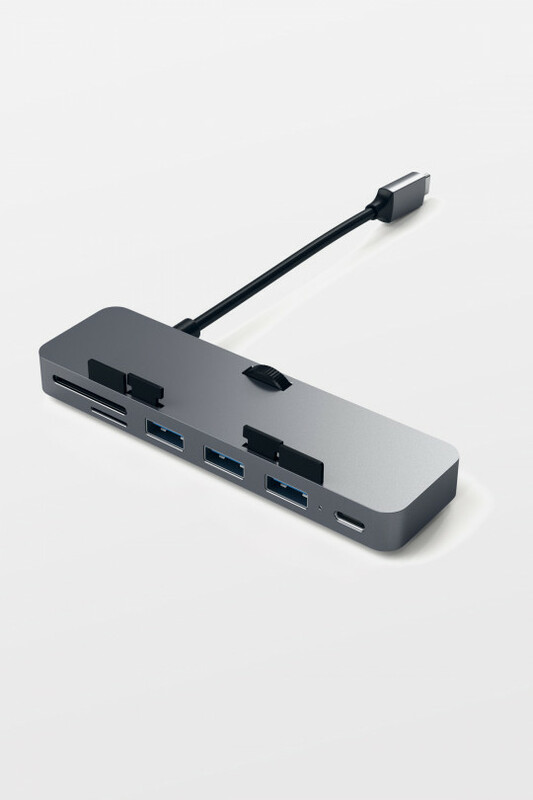 Use the Multi-Port Adapter's 4K HDMI port to output video from your computer to a 4K monitor. 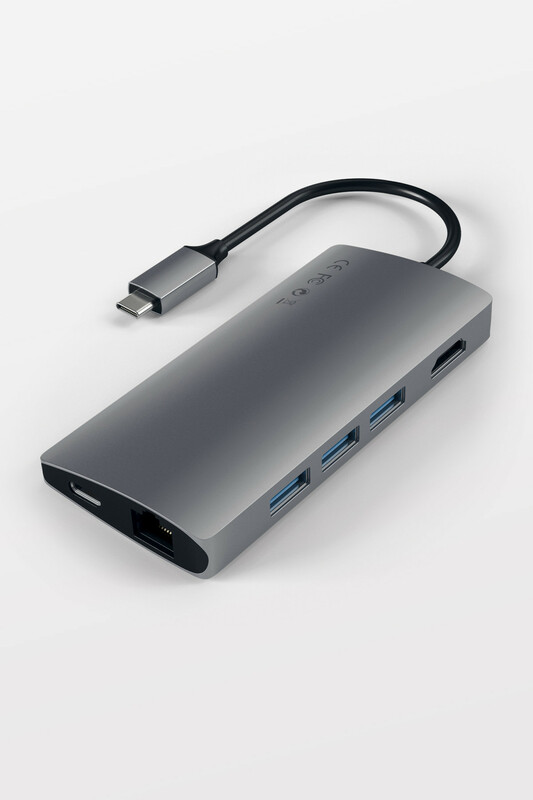 If your computer supports 4K you can now enjoy beautiful, crisp, high-resolution displays (up to 4K @ 30Hz resolution) by simply connecting an HDMI cable from your Multi-Port Adapter to a 4K monitor. 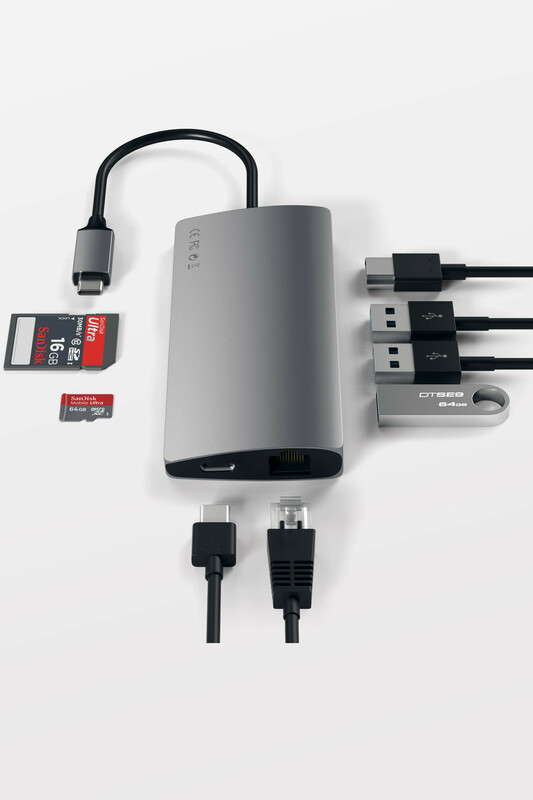 Easily stream internet via a wired internet connection by connecting an Ethernet cable from the adapter to a router.